Through regular, creative sessions in care settings we’ve supported sustained and significant relationships to develop between residents, staff, family, members and the wider community. By supporting more than 60 homes to devise and deliver a £500,000 creative ageing programme, we’ve provided residents with greater choice through relationship-centred care. Care settings working with Equal Arts are a hub of creative activity with schoolchildren, residents, staff and volunteers enjoying shared experiences and learning alongside one another. They’ve created largescale textile banners, staged plays to friends and families, composed original songs and created ceramics and animation. This year the community around Dipton Colliery, Delight Lodge, hoisted their banner, 70 years after the original was lost. Working together with local historians, textile artists and ex-miners, residents of Dipton Manor Care Home and children from Collierley Primary School created the six-foot banner, parading it through the village. "One of the main benefits of this successful project, has been the visible strengthening of relationships between the children and residents of St Mark’s. "All those involved have commented on how much they enjoyed talking to each other and the residents sharing their life experiences and memories with the children." 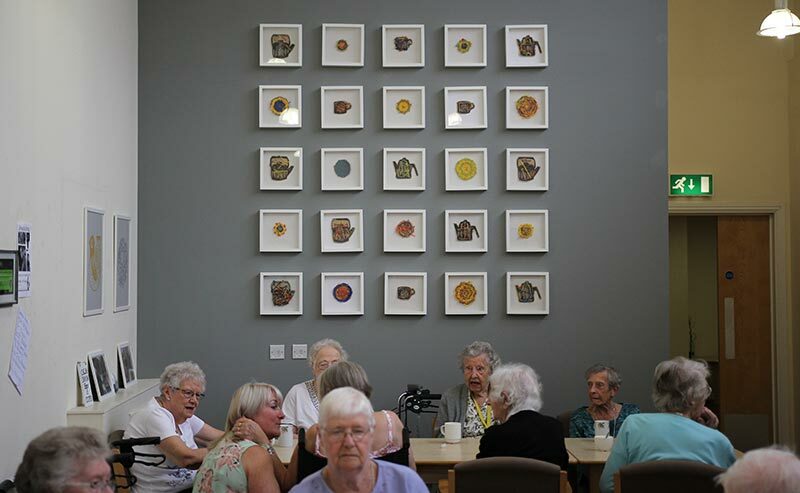 Working with textiles artists for over a year, residents living at the extra care court transformed their living environments and communal spaces with their creativity. Gone are the generic posters, random prints and blank walls, making way for custom-made décor. The artwork, prints, window vinyls and soft furnishings were all inspired by objects and 1950s patterns familiar to residents. "Residents were excited to create an environment away from their individual homes that was welcoming and personalised. "Working on a shared aim has been great, creating a real focus among residents, their families and wider community. "We've had so much excellent feedback from visitors and relatives about the room transformation. 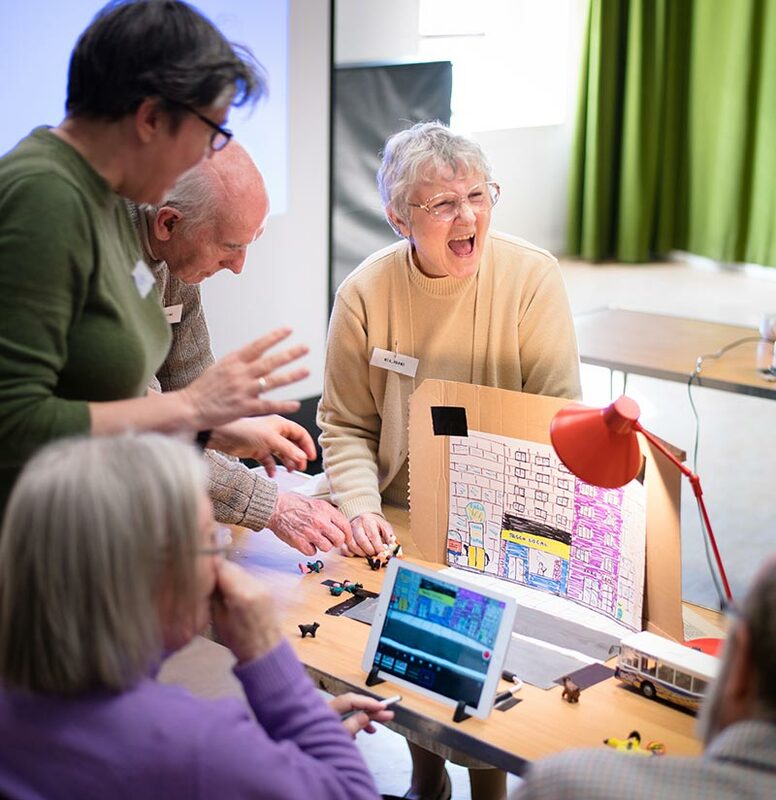 Creative Age has been developed to transform how artists and venues support older people living with dementia. Take up in the programme grew with established groups enjoying artist-led sessions to create wearable glass jewellery and miniature terracotta figures. Providing a friendly and informal setting for people living dementia and their carers has had a positive impact on all involved, with venue staff looking to develop their own dementia-friendly awareness. "These groups can be a lifeline. Week by week, even if memory or physical ability is depleted, there is a familiarity, confidence and solidarity that builds between participants. "We feel honoured to be able to offer these sessions and to make an impact on the lives of those who attend." With the support of volunteers, our Creative Friends got out and about exploring their creative interests. 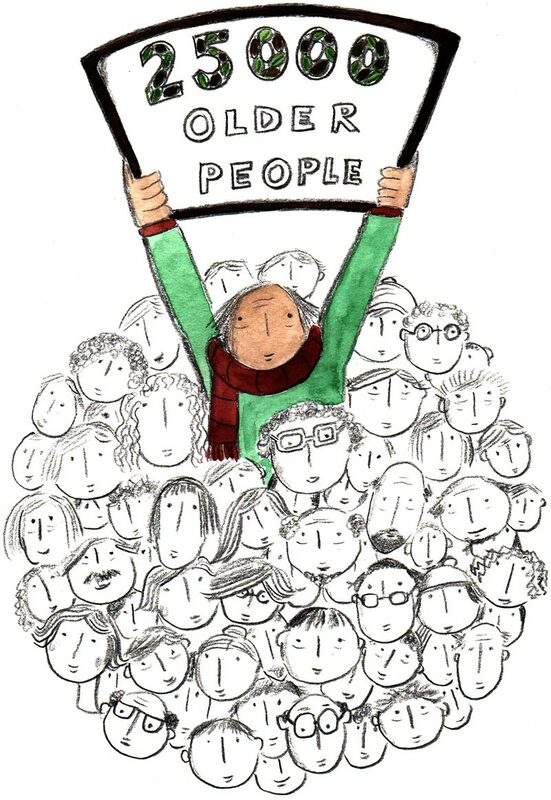 Working closely with health and social organisations we saw an increase in the number of participants in their 80s and 90s keen to have support to meet new people. The group enjoyed trips to concerts and shows, taking part in creative workshops and discovering the region’s cultural venues. The service, launched to help combat isolation among older people living in their own homes, provides people with regular, meaningful contact with their contemporaries.